The Diva of Days of Our Lives: Details on Days fan event in Orlando! The stars of NBC’s daytime drama “Days of our Lives” will meet fans face-to-face at Universal Orlando Resort in Florida on Saturday, February 23. The event for loyal “Days of our Lives” viewers will offer fans the chance to meet and greet many of their favorite cast members during autograph signings, a Q&A session and much more. These events will happen throughout Universal Orlando Resort, including Universal CityWalk (free of charge) and Universal Studios Florida (theme park admission required). “Days of our Lives” stars scheduled to attend include John Aniston, Camila Banus, Shawn Christian, Casey Deidrick, Galen Gering, Kate Mansi, Eric Martsolf, Peggy McCay, James Scott and Arianne Zucker. Fans can see their favorite “Days” stars toss beads from a dazzling float during Universal Orlando’s Mardi Gras parade within Universal Studios Florida. 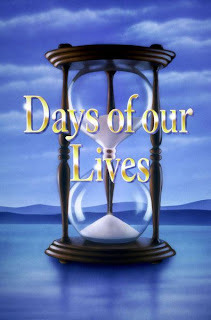 For more information about the “Days of Our Lives” fan event, visit www.nbc.com/days or http://bit.ly/10E8UAO. For more information about Universal Orlando’s Mardi Gras, visit www.universalorlando.com/mardigras. There are many ways to enjoy your Orlando vacation, but there is only one place where vacation becomes adventure: Universal Orlando Resort. It is a unique destination featuring two theme parks, three magnificently themed on-site hotels and a nighttime entertainment complex. It’s the only Orlando destination where you are not just entertained – you become part of the most exhilarating entertainment ever created. You can soar above Hogwarts with Harry Potter, swing above the streets with Spider-Man, be transformed into a banana-loving minion in the hilarious and heartwarming Despicable Me Minion Mayhem ride and help Shrek save Princess Fiona in Shrek 4-D.
Universal Orlando Resort is an NBCUniversal company.